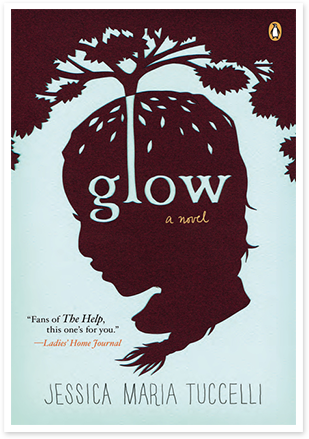 Glow by Jessica Maria Tuccelli is a powerful new novel about race and family relations. The author has masterfully woven a magical tale dating back to pre-Civil War days in Georgia and ending in the era prior to WWII. Told in a number of distinct voices from Native American to African-American slaves and those of mixed race, the fictional story captured my imagination and never let it go. It’s characters are believable and heartfelt. The writing is unique, intelligent, and colorful. I whole heartily recommend this book to anyone who enjoys historical fiction. If you are interested in entering to win a copy of this book and live in the U.S., please send an email to bookwinked@gmail.com. We will announce a winner at the end of April. Thank you for following Bookwinked! This entry was posted in Uncategorized and tagged Books, Georgia, Glow, Jessica Maria Tuccelli, Native Americans, race issues, race relations, Shakespeare, slavery. Bookmark the permalink.